I am passionate about selling real estate and love providing the very best service to my clients. I work across the whole of South-East Auckland, where I have lived since moving to New Zealand in 2003. I am a great negotiator, problem solver and extremely hardworking. If you are considering selling your property and are after exceptional service without compromise then please contact me now. Tall, loud and proud – Aman has definitely got to be your preferred industry representative when it comes to catering to all your real estate needs! Aman has already forged a name for consistency, which when translated sees him consistently acknowledged as a Premier member of the Ray White group. My career has always been directed at helping my customers (or clients) to achieve their goals through carefully listening to their needs, ensuring I have understood these and then researching and presenting appropriate solutions for them. Selling or buying your home requires the same careful approach – after all you are entrusting me with probably your most valuable asset. Botany Downs house values increased by 18% over the last year to $854,200, Dannemora values increased 15% to $1,169,850, Northpark values were up by 17% to $974,050, Somerville up by 17% to $1,020,600 and Burswood 24% at $820,850. The average time it takes to sell a property in the general Botany Downs area is currently 31 days. Most expensive sale: $2.71m in December 2014 for a large brick and masonry, six bedroom home, with views to the city and Rangitoto on a 1,200m section on Drumquin Rise. To find out who sold it and the best agents to sell your home, go to our Agent Selector Service. 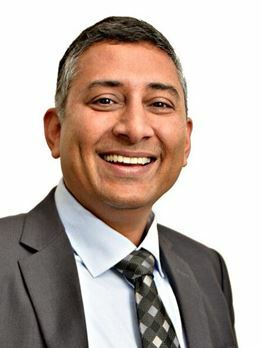 MUNISH BHATT: "Dannemora and Botany Downs are now rightfully attracting $1m++ cashed-up buyers for well-kept homes." Trade Me Property at 13 October 2015. Captain, the sole Dannemora peacock to escape relocation; Auckland Council caught the other 11. People complained after the birds caused damage to roof tiles and woke people up in the early hours of the morning with their calls. Like other suburbs in eastern Auckland, the newer, lower maintenance homes, comparative value and retail facilities appeal to foreign immigrants new to Auckland, as well as to home-grown young families keen on safe streets and easy shopping. Private sales are not unusual, but strong competition from local agents offering access to their group's buyer databases and multilingual representation can be a compelling proposition to many would-be vendors.